By signing up for the Premium Plates Service or any of the services of Premium Plates Inc. (“Premium Plates”) you are agreeing to be bound by the following terms and conditions (“Terms of Service”). Any new features or tools which are added to the current Service shall be also subject to the Terms of Service. You can review the current version of the Terms of Service at any time at here. Premium Plates reserves the right to update and change the Terms of Service at any time to the Premium Plates website. You are advised to check the Terms of Service from time to time for any updates or changes that may impact you. Please read the “Terms of Service” for the complete picture of your legal requirements. By using Premium Plates or any Premium Plates services, you are agreeing to these terms. Be sure to occasionally check back for updates. You acknowledge that Premium Plates will use the email address you provide as the primary method for communication. You are responsible for keeping your password secure. Premium Plates cannot and will not be liable for any loss or damage from your failure to maintain the security of your account and password. You are responsible for all activity and content such as data and photos that is uploaded under your Premium Plates account (“Site Content”). You must not transmit any worms or viruses or any code of a destructive nature. Derogatory comment/disrespect to the law/law enforcement/law enforcers;) Adverts and Sale Items will be removed from this site if any of the rules and condition points above are breached. With no refund. A breach or violation of any term in the Terms of Service as determined in the sole discretion of Premium Plates will result in an immediate termination of your services and no refund will be provided. Don’t use Premium Plates for anything illegal or transmit any harmful code. Remember that with any violation of these terms we will cancel your service. If we need to reach you, we will send you an email. Upon completion of sign up for the Service, Premium Plates will create a PayPal Express Checkout account on your behalf, using your email address. Depending on your location, Premium Plates may also create a Premium Plates Payments account on your behalf. You acknowledge that PayPal Express Checkout and/or Premium Plates Payments will be your default payments gateway(s) and that it is your sole responsibility as the Account Owner to activate and maintain these accounts. If you do not wish to keep either of the payment accounts active, it is your responsibility to deactivate them. The person signing up for the Premium Plates Service is responsible for the account and is bound by these Terms of Service. If you sign up on behalf of your employer, your employer owns the account and is also bound by our Terms of Service. You are responsible for activating and deactivating these accounts. Once the selling period expires the account will be active for a period of 14 days. After that period the account will automatically be removed from the site. You may not use the Premium Plates service for any illegal or unauthorized purpose nor may you, in the use of the Service, violate any laws in your jurisdiction (including but not limited to copyright laws) as well as the laws of Australia. You agree not to reproduce, duplicate, copy, sell, resell or exploit any portion of the Service, use of the Service, or access to the Service without the express written permission by Premium Plates. You understand that your Account Site Content (not including credit card information), may be transferred unencrypted and involve (a) transmissions over various networks; and (b) changes to conform and adapt to technical requirements of connecting networks or devices. Credit Card information is always encrypted during transfer over networks. The Premium Plates service is a registered business you are not allowed to use it for any illegal or sketchy purpose. We may, but have no obligation to, remove Site Content and Accounts containing Content that we determine in our sole discretion are unlawful, offensive, threatening, libelous, defamatory, pornographic, obscene or otherwise objectionable or violates any party’s intellectual property or these Terms of Service. Verbal or written abuse of any kind (including threats of abuse or retribution) of any Premium Plates customer, Premium Plates employee, member, or officer will result in immediate account termination. Premium Plates does not pre-screen account Sale Content and it is in their sole discretion to refuse or remove any account content that is available via the Service. We reserve the right to provide our services to your competitors and make no promise of exclusivity in any particular market segment. You further acknowledge and agree that Premium Plates employees and contractors may also be Premium Plates customers/merchants and that they may compete with you, although they may not use your confidential information in doing so. Premium Plates retains the right to determine, in our sole judgment, rightful account ownership and transfer an account to the rightful owner. If we are unable to reasonably determine the rightful account owner, Premium Plates reserves the right to temporarily disable an account until resolution has been determined between the disputing parties. We can modify, cancel or refuse the service at anytime. 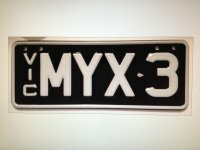 In the event of an ownership dispute over a Premium Plates account, the matter will be referred to the relevant authority in that state. The account will be frozen until resolution. You expressly understand and agree that Premium Plates shall not be liable for any direct, indirect, incidental, special, consequential or exemplary damages, including but not limited to, damages for loss of profits, goodwill, use, data or other intangible losses resulting from the use of or inability to use the service. In no event shall Premium Plates or our suppliers be liable for lost profits or any special, incidental or consequential damages arising out of or in connection with our site, our services or this agreement (however arising including negligence). You agree to indemnify and hold us and (as applicable) our parent, subsidiaries, affiliates, Premium Plates partners, officers, directors, agents, and employees, harmless from any claim or demand, including reasonable attorneys’ fees, made by any third party due to or arising out of your breach of this Agreement or the documents it incorporates by reference, or your violation of any law or the rights of a third party. Premium Plates does not warrant that the Service will be uninterrupted, timely, secure, or error-free. Premium Plates does not warrant that the results that may be obtained from the use of the Service will be accurate or reliable. 6. Premium Plates does not warrant that the quality of any products, services, information, or other material purchased or obtained by you through the Service will meet your expectations, or that any errors in the Service will be corrected. The failure of Premium Plates to exercise or enforce any right or provision of the Terms of Service shall not constitute a waiver of such right or provision. The Terms of Service constitutes the entire agreement between you and Premium Plates and govern your use of the Service, superseding any prior agreements between you and Premium Plates (including, but not limited to, any prior versions of the Terms of Service). If Premium Plates chooses not to enforce any of these provisions at any time, it does not mean that they give up that right later. These terms of service make up the agreement that applies to you. This means that any previous agreements between you and Premium Plates don't apply if they conflict with these terms. We do not claim any intellectual property rights over the material you provide to the Premium Plates service. All material you upload remains yours. You can remove your Premium Plates item of sale at any time by deleting your account. This will also remove all content you have stored on the Service. By uploading Image Content, you agree: (a) to allow other internet users to view your Image Content; (b) to allow Premium Plates to display and store your Image Content; and (c) that Premium Plates can, at any time, review all the Image Content submitted by you to its Service. You retain ownership over all Image Content that you upload to a Premium Plates site; however, by making your image public, you agree to allow others to view your image Content. You are responsible for compliance of Image Content with any applicable laws or regulations. You retain ownership over all content that you submit to a Premium Plates site however, by making your image public, you agree to allow others to view your content. A Paypal account is required for accounts able to process orders using a live payment gateway. Accounts used for development purposes (unable to process orders using a live payment gateway) do not require a valid credit card. The Account Owner will be sent a Payment receipt via Paypal. Users have approximately two weeks to bring up and settle any issues with the billing. All fees are exclusive of all federal, provincial, state or other governmental sales, goods and services, harmonized or other taxes, fees or charges now in force or enacted in the future (“Taxes”). If you are a resident of Australia , you are responsible for all applicable Taxes that arise from or as a result of you selling a plate.These Taxes are based on the rates applicable to the Australian billing address you provided to us. Such amounts are in addition to payment for Listing Fees and will be billed to your account via Paypal. If you are exempt from payment of such Taxes, you must provide us with an original certificate that satisfies applicable legal requirements attesting to tax-exempt status. Tax exemption will only apply from and after the date we receive such a certificate. To the extent that you are a non-resident individual and not a corporation or other legal entity, and your location of usage shifts to a place in Australia when the service is made, you must advise us immediately by email to the address provided above. Premium Plates does not provide refunds. For live payment gateways, a valid Paypal account is required. You will be billed immediately. Tax is not included and you will be billed to your Bank Account. If you’re exempt from Australian taxes, let us know by giving us your original exemption certificate and we’ll stop adding taxes to your bill. No refunds. Once cancellation is confirmed, all of your Account Content will be immediately deleted from the Service. Since deletion of all data is final please be sure that you do in fact want to cancel your account before doing so. If you cancel the Listing Service in the middle of the term, No part or full refund will be apply. We reserve the right to modify or terminate the Premium Plates service for any reason, without notice at any time. Fraud: Without limiting any other remedies, Premium Plates may suspend or terminate your account if we suspect that you (by conviction, settlement, insurance investigation, or otherwise) have engaged in fraudulent activity in connection with the Site. 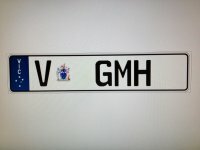 Listing Fees for using Premium Plates are subject to change on the Premium Plates Site (Premiumplates.com) Listing Fees menu of the site. Premium Plates reserves the right at any time to time to modify or discontinue, the Service (or any part thereof) with or without notice. Premium Plates shall not be liable to you or to any third party for any modification, price change, suspension or discontinuance of the Service. Premium Plates may provide you with access to third party tools or Advertisement Links over which Premium Plates neither monitors nor has any control or input. You acknowledge and agree that Premium Plates provides access to such tools ‘as is’ without any warranties, representations or conditions of any kind and without any endorsement. Premium Plates shall have no liability whatsoever arising from or relating to your use of optional third party tools or Advertising Links. Any use by you of optional tools / Advertising Links offered through the site is entirely at your own risk and discretion and you should ensure that you are familiar with and approve the terms on which tools are provided by the relevant third party provider(s). Premium Plates strongly recommends that merchants seek specialist advice before using or relying on certain tools or Advertising Links. We are not responsible for third party tools or Advertising Links so use them at your own risk. If you use them you agree that we do not provide a warranty, so get advice beforehand. Premium Plates respects intellectual property rights and you should too. If we receive a DMCA Notice, we may disable access or remove the allegedly infringing content from your website. If you don’t think the claim is valid, you can proceed with a counter notification. For everyone else this means, If you believe one of our merchants is infringing your intellectual property rights, you can send Premium Plates a DMCA Notice. We will expeditiously disable access or remove the content and notify the merchant. Be advised that we post all notices we receive. Premium Plates also respects intellectual property rights and if any part of this site is duplicated in anyway, a DMCA Notice (Copyright Infringement Notice form), will be sent to the designated agent. We may then disable access or remove the allegedly infringing content from our website. If you don’t think the claim is valid, you can proceed with a counter notification.